Convenient Electric Start The TT-R50E gets the same pushbutton electric starting feature as our full line of electric-start TT-Rs. 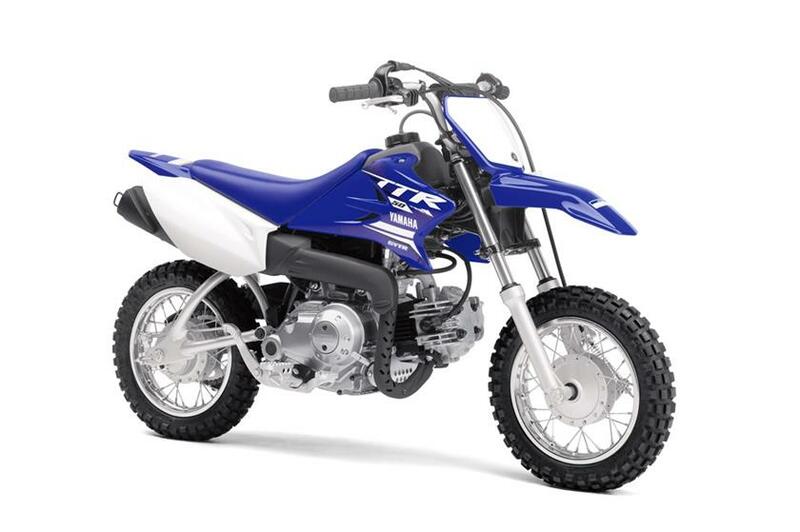 Accessible Performance Great for learning and/or playing, complete with 49cc of four-stroke fun feeding power through a three-speed automatic-clutch transmission. Ultra-Low Seat Height Big YZ styling meets little people’s stature; the seat’s only 21.9 inches from the dirt. Advanced Suspension Inverted fork and Monocross® rear end provide great handling. Robust Final Drive Large chain cover for maximum protection and minimal maintenance.